Grooms Cottage at Arkleby Holiday Homes in Arkleby, near Cockermouth, Cumbria sleeps 4 people. Arkleby Holiday Homes near Cockermouth is situated in a peaceful, rural location on the fringe of the Lake District National Park; these delightful holiday properties (refs 27273 [Holly Lodge], UKC64 [The Coach House] and UKC2221) have lots of character, comfort, charm and original features. 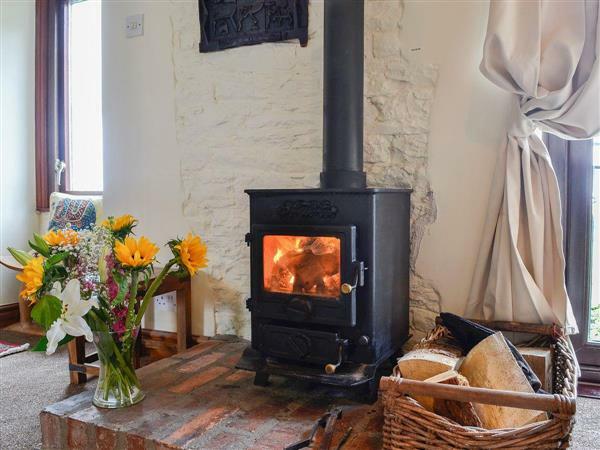 Grooms Cottage (ref UKC2221) has been carefully renovated into a lovely cottage with an open plan living space on the first floor, to take advantage of the views across the Solway Firth, famous for its fantastic sunsets. Semi-detached with The Coach House (ref UKC64 [The Coach House]), this property has been restored in to a wonderful cottage, adjacent to Holly Lodge (ref 27273 [Holly Lodge]), off the large shared parking area. Holly Lodge (27273) is a detached, spacious, 18th-century country house, and has been thoughtfully furnished to a good standard with a profusion of original features, which have been retained and restored. Whilst all three properties are set in substantial wooden gardens, with formal lawns, an orchard and patio areas, the whole garden surrounded by countryside, and each property has their own private sitting-out area. Cockermouth, 8 miles, has coffee shops, restaurants, gastro pubs, shops, cycle hire and art galleries. There are theatres in Keswick, Cockermouth and Whitehaven, all within easy reach and hosting musical and theatrical events all year. The small rural village of Aspatria, 2 miles, also has a small selection of shops. There is a public swimming pool in Cockermouth or you can have your own personal indoor swimming pool, Jacuzzi and steam room (rented by the house, it is recommended to book early), just 500 yards away from the properties. Fly Fishing is available with a trout pond in Gilcrux, 2 miles, and the rivers Ellen in Aspatria, and Derwent in Cockermouth. The beach, lakes and fells are just a 15 minute drive away. Horse riding is also available locally. The shop is 2 miles from Arkleby Holiday Homes near Cockermouth, with the pubs and restaurants ½ mile from Arkleby Holiday Homes. Living area: With wood burner and 44 Freeview TV. LPG central heating included. Welcome pack. Lawned garden with sitting-out area, garden furniture and barbecue. 1 small dog welcome. All properties: Electricity, bed linen, towels and Wi-Fi included. Initial logs for wood burner included. Grounds with woodland and orchard (shared). Bike store. Private parking for 2 cars. No smoking. Holidays at Grooms Cottage, Arkleby Holiday Homes run from Friday to Friday. Pets allowed at Arkleby Holiday Homes - Grooms Cottage. For a better idea of where Arkleby Holiday Homes - Grooms Cottage is, you can see Arkleby Holiday Homes - Grooms Cottage on the map below. Arkleby Holiday Homes - Grooms Cottage is in Cumbria; should you be on the lookout for a special offer, you can find all the special offers in Cumbria. It's always worth checking to see what is on offer at the moment. Do you want to holiday near Arkleby Holiday Homes - Grooms Cottage (UKC2221), you can see other cottages within 25 miles of Arkleby Holiday Homes - Grooms Cottage; have a look to find your perfect holiday location.